The series is released based on the high-performance standard requirement of motion control in the current industrial control market. 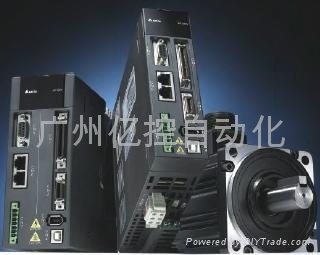 It aims to meet the needs of equipment developers and system integrators in precision positioning control. It is definitely your first choice if you want to enter the high level control field. ▲ The resolution of the incremental rotary encoder is 20-bit, so it is applicable to high-precision application occasions. ▲ The extended module can be designed to have multiple functions to meet the need of product customization. 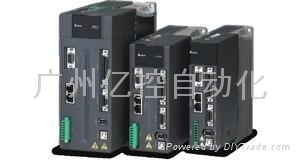 ▲ It is built in with the second route of encoder signal interface (cn5) which can be connected with grating ruler signals to realize full-closed loop control and precision positioning. ▲ Reduce the clearance of mechanical transmission and influence of flexibility, and ensure precise positioning of mechanical terminals. ▲ The cam profile can reach 720 points. ▲ The cam curve makes three times of curve smoothing automatically. ▲ The ASDA-A2-SOFT software provides the electronic cam (E-CAM) editing function. ▲ It can be used in flying shears or flying shear control. ▲ Provide the interior position editing function, and the operation path can be planned. ▲ There are 64 groups of path planning at most, and multi-path continuous operation can be planned. ▲ During path operation, the position, speed, acceleration and deceleration time can be changed on the way. ▲ Four operation modes can be set for each group of paths, including path jumping, parameter read-in, speed control and position control. ▲ A group of fixed paths is the homing mode.